Has your dealership's website been impacted by the recent update? Here's what you need to know! Google rolls out updates designed to improve its search results on a daily basis. Recently, a more significant update was released that may directly impact the ranking of your dealership’s website. Don’t panic, though! We’ll explain. Google’s Broad Core Algorithm, which is updated multiple times a year, just received a major update. The purpose of the update was to improve the way that Google matches user search queries to relevant search results. 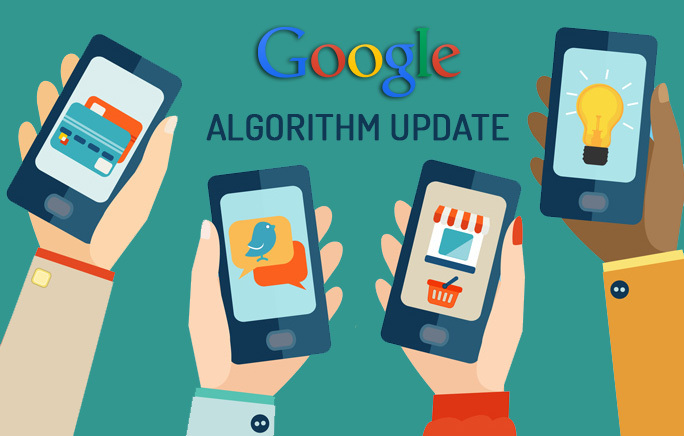 Put simply, the algorithm update aims to provide more accurate results when people search things on Google. Unlike the majority of the daily updates that generally target one specific area, Google’s broad updates are more significant because they impact the entire search algorithm. The update has caused shifts in organic search as well as local search rankings, more prominently in some industries than others. You may have noticed that your dealership’s web pages are receiving less traffic (or perhaps more) than they were previously. Google’s reasoning for this is that its improvements were aimed at advancing pages (ranking them higher) that were once under-rewarded, which will impact the ranking of others and impact page traffic. One noticeable change with update has been the demotion of advice pages in Google’s rankings based on EAT (expertise, authoritativeness and trustworthiness) as well as YMYL (Your Money or Your Life) sites, both factors in Google’s Search Quality guidelines. These particular guidelines have become more prominent with the recent roll-out. The good news is that the automotive industry has seen a very minimal impact with the recent update. Fluctuation in dealership website rankings has been insignificant, so there’s no need to be concerned yet! Websites in the the health, wellness and medical sectors have been hit the hardest, while other industries remain steady. Our team of experts will continue to monitor dealership ranking and traffic to ensure that your website continues to rank high on the search engine results page! According to Google, there is absolutely nothing wrong with websites and pages that lost their rankings and there is no specific “fix” that will allow your pages to rank better with these broad updates. Instead, it’s recommended that you continuously make improvements to your dealership’s website over time, a process that Google recognizes and responds to by boosting ranking accordingly. Consistently improving your website’s content is a daunting task, though. That’s where we come in. Our team of Organic Search and content writing wizards do the dirty work to ensure that your pages are optimized for a higher ranking on Google’s search engine results page, no matter what the algorithm may be. As a Premier Google Partner, Convertus is always on top of the latest search engine changes. We take care of the technical stuff, and let you focus on selling and servicing more cars at the dealership. Want to learn more about our solutions and optimization strategies? Let’s start a conversation about how we can achieve more together.